The Task Force on Regional Transit Authority Performance submitted a 50-page report for public review on March 25 that contained a slew of recommendations for the 15 Regional Transit Authorities providing public transportation service across Massachusetts. 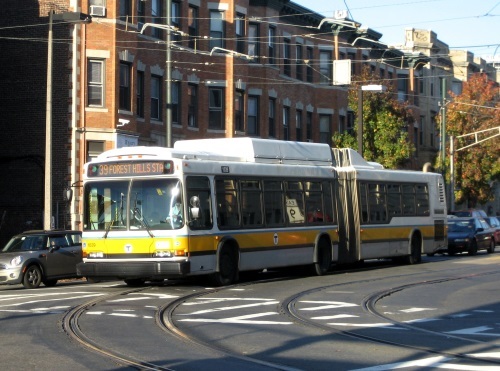 The task force – comprised of state legislators, the Massachusetts Department of Transportation rail and transit administrator, current RTA administrators, representatives of municipal governments, and members of the business, rider, and advocacy communities – met on almost a weekly basis from September 2018 through March 2019. All state contract assistance will be connected to performance targets via a memorandum of understanding or MOU will be bilaterally negotiated between MassDOT and each RTA to identify performance targets in the following categories: ridership; customer service and satisfaction; asset management; and financial performance, incorporating a number of factors including fare box recovery ratio. MassDOT should include the RTAs as partners in statewide transportation planning and decision-making. In lower-density areas and to supplement fixed route service, RTAs should seek to provide on-demand service, micro-transit service, or partner with Transportation Management Associations, municipal shuttles, Councils on Aging, Transportation Network Companies (such as Uber), bikeshare companies, and other mobility firms. In order to reduce greenhouse gas emissions from the transportation sector by at least 40 percent by 2040, the RTAs and MassDOT should determine the mode shift that will be required to meet that goal, as well as work with local partners to create a long term environmental sustainability plan. In keeping with the state’s environmental goals related to transportation, all public transit bus purchases should be zero-emissions by 2035.